Subtheme of session 72: Are the transcendent certitudes of the religious imagination, and the secularity, historicity, positivism, of modern political ideologies, mutually exclusive? Indirect Participants within the Great Imaginary Conversation across the ages: Galsworthy, Heidegger, Einstein, Dante, Dostoyevsky, Michelangelo, Aquinas, Vico, Croce, Pollard, Joseph, Lewis, Buber, Descartes, John, Handlin, Solomon, Paul, Socrates, Al-Ghazalli, Al Rushd/Averroes, Raphael, Aristotle, Plato, Diogenes, Jonah. Presentation 1: “Man’s Freedom, God’s Providence: The Origins of the Historical Consciousness and Modern Hermeneutics in the West.” A presentation by Emanuel L. Paparella. Presentation 3: “How I Lived and Thought with an Active Providence.” A presentation by Michael Newman. 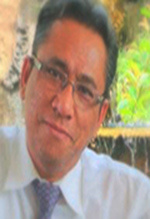 First and foremost, as coordinator of the Ovi Symposium, I, with the other colleagues of the symposium, extend a warm welcome to Dr. Azly Rahman as a new addition to our regular Symposium’s contributors. Ovi magazine readers may have already been familiar with Dr. Rahman. 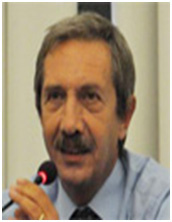 He has contributed various articles to Ovi. They may remember his poignant insightful piece on his childhood reminiscences titled “Sleeping with the Great Books,” conveying his vast erudition, openness to dialogue and a deep humanism transcending ethnic-cultural characteristics. 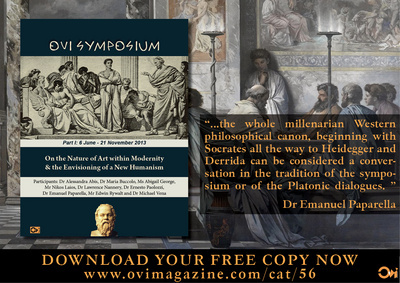 That kind of hermeneutical narrative conceived as a return to origins seemed unique; it points to a firm grasp of the importance of history in the elucidation of human nature. He is eminently qualified to make the kinds of nuanced diagnosis and prognosis needed to analyze today’s cultural and political problems; particularly those relating to the complexities of the nexus between culture and religion. He too is a scholar who existentially straddles at least two cultures, religious traditions and civilizations, buttressed by advanced degrees and teaching experience in International Affairs, Peace Studies, Education and Communication, Political Science, American Studies, and last but not least in Philosophy and Cultural Studies. His scholarship is indeed vast, tracing the wisdom of the ages and equipping him for a fruitful dialogue with his colleagues and the Symposium’s readership. We are truly honored to have him aboard as a regular participant in our ongoing exploration of pressing cultural issues of the day as well as our private psychological journeys in the byways of a history which is the story of humankind and includes our own story. It is an honor to have him on our team. We are confident that his collaboration with the Ovi symposium will be a long and fruitful one. Welcome Dr. Rahman! In the first presentation, within the parameters of this sub-theme of the 72nd issue of the Ovi symposium (on whether or not a synthesis is possible between or even desirable between the religious imagination and the positivistic scientific mind-set) Emanuel Paparella presents us with the distillation of what was originally the thesis of his Ph.D. dissertation’s conundrum, and has since remained a constant concern of his: the integration of reason and faith, transcendence and immanence within Vico’s philosophical concept of Providence; a concept which paradoxically, despite the logical premise that a thing cannot be and not be at the same time, (the Aristotelian principle of non-contradiction, so called) encompasses both immanence and transcendence at the same time, freedom and determinism, the universal and the particular. This complex Vichian concept of Providence on which rests much of the Western philosophical-theological tradition, goes back to Anselm and Aquinas’ scholasticism. In his own unique hermeneutical mode Vico resurrects it as integral part of Italian humanism, a sort of anti-Cartesian, anti-rationalistic, freedom affirming anti-deterministic stance of which he is the final culmination in the 18th century, before it gives way to enlightenment Cartesian rationalism and the suppression of the imaginative and the poetical by positivism and the scientific mind-set. While Vico had sounded the alarm three centuries ago; current complexity theory, elaborated upon by Azly Rahman in a way continues the struggle against the excesses of the rationalistic positivistic mind-set which quite often, even when tolerating religion, ends up disposing of it as simply anachronistic and anti-progressive. Within this line of thought, the second presentation by Azly Rahman, follows-up with an invitation and a challenge. However, this is not an invitation to a proselytizing kind of religious apologetics, to better determine who has the truer revealed religion, merely dealing with the thorny conundrums freedom/predestination which so preoccupied Calvin and other scholars; rather, it is an invitation to a dialogue, an invitation to re-examine certain taken-for-granted assumptions and premises about philosophy vis a vis religion in order to determine if a more imaginative, more authentic route needs to be undertaken; in other words, determine if the very concept of religion needs a rethinking. The form is complexity theory, a philosophical theory that has at times been dubbed post-modern by some classical thinkers but dares, as Rahman indeed does, ask the challenging question: have we been trapped by the prison house of language? thus resurrecting the Heideggerian notion of language as the house of being. That is to say, is a reform necessary in most religions, in their very concept of religion and how they understand themselves? Given that salvation is a major concern of religion, is it to be understood as a collective, public concern or a private mystical enterprise giving to God what is God’s (the transcendent) and to Caesar what is Caesar’s (the immanent)? Should religion be religion-less a la Dietrich Bonheoffer? Is there a way to integrate reason and faith a la Aquinas, one tradition with another as humanism and multiculturalism tend to do? Rahman too goes back to origins, to scholastic philosophy and poetically presents us with the intriguing figure of Ibn Rushd, found in Raphael’s School of Athens, otherwise known in Western philosophy as Averroes, a great philosopher, translator of many works of Aristotle, supremely able to integrate Islamic traditions with ancient Greek thought, who certainly influenced Aquinas by showing how to proceed with the philosophical study of religion and how those two fields can be distinguished but are not mutually exclusive or in contradiction with each other. What is even more intriguing and quite post-modern in Rahman’s presentation is the individuation of the dichotomy liberal Western tradition/Islamic tradition which almost inevitably has come to a logger-head in the 21st century, as it had to. Just as Habermas has done with his secular fellow-Christians by inviting them to the public agora to a dialogue on a post-secular Europe, to a more open minded less biased attitude toward religion and its universalist tendencies, Rahman too challenges his fellow-Muslims, and Christians too (at least those who have not thrown out the baby, faith, with the dirty water, the corruption of religions), in urging and inviting all to a dialogue that considers a post-humanist, post-modern Europe and does not leave out religion as simply irrelevant and anachronistic for our modern, progressive, “enlightened,” if cynical and skeptical, times. All of the above leads directly to the introduction of a proposal: a dialogue on the issue of the privatization of religion as advocated by many secularists, often calling themselves secular humanists and further confusing the issue, vis a vis the public nature of religion, especially within those where salvation is conceived as collective, as the salvation of all the people and not just a few elected predestined individuals. This dichotomy private sphere/collective salvation needs to be better explored and analyzed; perhaps we can agree on that. To be sure, some of those queries have been previously been placed on the discussion table in Ovi magazine, but unfortunately they have not received the attention they deserve. Perhaps this time around, in the near future, we will finally get to an in depth analysis, even without necessarily resolving the conundrum once and for all. Philosophy would be long dead if it could resolve all its problems once and for all. The conversation goes on exactly because the problems persist. In any case, the signs are surely encouraging; for the moment we only wish to urge the readership and even the editorial staff to participate in some way or other and not remain passive spectators; i.e., cooperate in some way or other and in as much as they can, in carrying forward the future dialogue that is expected to ensue. That feat can be easily accomplished via the comment section of the magazine, and other means of communication. That section, is there, not only to get things off one’s chest and provide a psychological catharsis, but also to enhance the ongoing dialogue on issues of the day which gives an identity to the magazine, its raison d’etre, and to which a magazine of opinion is dedicated. In the third presentation Michael Newman contributes to the initial dialogue on the various questions above outlined by giving us an existential glimpse into his own youthful faith journey and grappling with the angels of doubt, submission to God’s will, skepticism, an ongoing process, to be sure. He too straddles two traditions, two faiths, two cultural nuances. The narration while being intimately personal, grabs the reader from the beginning, who gets the feeling that indeed this aspect of the journey, understood hermeneutically as a journey with a purpose and a goal of some kind to be narrated and even mythologized, almost as a quest toward meaning, is inherent to every individual human journey from cradle to tomb, that the journey itself, as Dante and Jung powerfully intimate, is an archetype of the human condition, unless it be the deterministic one of a robot or a zombie or of creatures without rationality and free will; that the journey is ongoing and its meaning (at least within history with its time and space) may reside in itself, the journey itself, rather than in its final destination. This powerful Vichian idea too will need further elaboration and expansion in the symposium’s discussions that will surely follow this particular issue, as we attempt to explore its various challenges and the perplexities they engender. The idea of freedom seems to be peculiar to the West. Moreover, for the Western imagination this idea is nothing short of the underpinning of the historical consciousness. In fact, the consciousness of Man being his own history is one of the most striking characteristics of the Western world. It allows the self to turn back upon itself and judge itself ethically. This is possible because that same self conceives of itself as created in God’s own image and therefore essentially free, for this is a God that is free and creates freely. I dare say that it is there that we may hope to discover the theological genius of the West. Several years ago in the mid-eighties, I taught Ethics and Comparative Religions in a private Episcopal School (St. Andrew’s of Boca Raton, Florida). At one point I ran into a theological controversy with the school’s chaplain who taught biology. The controversy centered on the issue of God’s freedom and whether or not God had necessarily to create the universe as we know it; that is to say, whether the universe is contingent on some necessity or was it freely created. This is the famous Heideggerrian question in Being and Time: Why is there something rather than nothing? The reverend had delivered in chapel a wonderfully poetic narration of the creation event as described in Genesis. I praised the narration itself but took issue with one of its statements which he had taken the liberty to add poetically to the Biblical narration: “Then God felt lonely, so he created Man.” It seemed to me that such a statement invalidates the whole Judeo-Christian theological understanding of God and his creation. For if God needed to create out of loneliness, then He is determined and consequently He is not free, not to speak of the negation of the Trinity. And if God is not free, then his creatures cannot possibly be free either. This is the dilemma that used to preoccupy Albert Einstein which led him to the famous question: does God play dice with the universe? After all, even God cannot capriciously declare that 2+2 is 3. But on the other hand without freedom, love, the greatest of Christian virtues, is also moot. It is the intertwining of love and freedom that makes for the grandeur of Dante’s Commedia; without those elements Western civilization cannot possibly be understood. Despite the Inquisition, the Crusades, the scandal of the Papal schisms and the corruption of the clergy, Christian theology has always understood in principle (by which principle it also condemns itself when it fall short) that genuine love always desires the increase rather than the diminishing or the control of others’ freedom. The more one wishes to control and manipulate others for one’s own ends, the less is one able to love them. On the other hand, as Dostoyevsky, for one, has shown in his novels, without the freedom to hate and to refuse love, one cannot possibly love either God or one’s neighbor, not even oneself. It is in that freedom that lies the human drama of Dante’s Inferno, rather than an alleged sado-masochistic medieval propensity for asceticism, for pain and misery, as some Enlightenment philosophers misguidedly surmised. Ultimately the chaplain and I concluded that perhaps a better description of what might have been going on prior to creation might be that God, far from being lonely, was already in good company in communion with his Son and the Holy Spirit. That is not a difficult thing to surmise for the Christian imagination and its corollary conception of the Trinity. Michelangelo depicts this on the wall of the Sistine chapel with a Christ that looks like a Greek Apollo. That Christ scandalized many pious Christians of the Renaissance but obviously He is not merely the bearded historical Jesus of Palestine born or incarnated as a human being at a particular place, a particular time, a particular people. It was the overflowing of this reciprocal love between Father and Son (the Spirit) that prompts God to freely create the cosmos in order to freely share this love, as Aquinas amply intimates in the Summa Theologiae. In fact, the human community of which the primordial prototype is the family is conceivable only because there is already a transcendent paradigm of community, what Christian theology calls the Trinity. Creation is a participation in God’s love. Therefore the goodness and abundance of life derive ultimately from love, and God in his act of creation far from being determined, remains utterly free and transcendent. He did not have to create but he does so out of love. The roots of this powerful Western theological idea go deeper than Christianity itself. They are found in Jewish theology of which Christian theology is an offshoot. The Jews, without philosophically articulating a theoretical understanding of the philosophy of history (we need to wait for Vico for such an understanding understood philosophically), were the first people to fully grasp the importance of freedom for the whole created order and its development through time and space. We now take it for granted, but this idea of a free God who freely creates creatures who in turn freely determine their destiny, is a truly revolutionary idea. It presents us with a God who is radically different from all the other capricious anthropomorphic gods of Western or Oriental religions up to then. It is that idea that makes room for another revolutionary idea, that Man is his own history. This is not to deny that both the ancient Greeks and Romans had contributed advanced ideas regarding intellectual and political freedom. However, their kind of freedom was grounded in political and social institutions rather than in the individual self. Rome, after a while, is not only an idea but a goddess through which the Romans, not unlike modern technocratic society, narcissistically and idolatrously worship their own achievements. On the other hand, the consciousness of freedom residing in a self related to its Creator is a uniquely Jewish phenomenon which enters the Western world via Christianity and eventually becomes the fountainhead of man’s historical consciousness. As we have seen in the essay on Christianity by Benedetto Croce, Christianity understands that a transcendent God became part of man’s immanence by the Incarnation; he became God with us; thus human nature is elevated by this act and Divine Providence can, via Christianity, be understood as both immanent and transcendent at the same time. Some call this a mystery, some call it a paradox but the synthesis also hints at the fact that it is not illogical or absurd. The reader may be wondering, what exactly is the definition of historical consciousness? Were I to condense the various definitions given by cultural anthropologists I would hazard this one: an attitude that holds that history is a paradigm, a myth, if you will, of perceiving and ordering Man’s reality. Now, this concise definition assumes a faith in the presence of meaningful purpose and order in a universe ever reaching for a greater realization of meaning. Without this bottom belief neither historical consciousness nor science is possible. We are back to the conundrum of God’s providence and man’s freedom. We may well ask ourselves: if Man, created in the image of God, is free and responsible for his own history, how can he possibly remain such if God, at critical junctures, intervenes in human history? Are not man’s freedom and God’s providence mutually exclusive? How this seeming paradox functions in Vico’s concept of providence? I am not delving here with Vico’s philosophical understanding of Providence but mainly in the exploration of how it functions in biblical thought which, as we have alluded to, is at the root of Western’s Man’s historical consciousness. Pollard points out that this is the Judeo-Christian concept of destiny. Destiny is whatever is willed by God. God’s will is creation’s destiny. Or as C.S. Lewis renders it in Preface to Paradise Lost, “Those who will not be God’s sons become his tools.” And in fact, the moral lesson that Pollard wants us to derive this biblical story is that through fortuitous chances and accidents working through Joseph’s life-history, God’s providence emerges. The brothers meant evil, the outcome is good. Joseph’s words are instructive here: “Am I in the place of God?” Which is to say that, in the light of the happy outcome of the story, Joseph far from seeking revenge can only be grateful for God’s providence at work in human events and turning to good what Man meant for evil. In as much as this drama remains open-ended, since chance and accident intermingle with the reliable and the predictable in human history, it is different from science. Events and behavior cannot be controlled in history as in a laboratory. Oscar Handlin, for example, in his Chance or Destiny: Turning points in American History, draws attention to the fact that crucial military victories have been won or lost due to the sudden arrival of a storm. Something like that happened in the biblical Exodus event. This drama, unlike scientific experiments, is not repeatable except in Man’s imagination. Moreover, contrary to science, the human historical drama rests its confidence on the fact that not the most probable but the most improbable can be counted on happening. One caveat is in order. A false dichotomy between science and religion has been promoted, even by some who are religiously inclined, especially those, of any denomination, with rigid fundamentalist persuasions and certitudes which have given a bad name to the term “religious orthodoxy.” It consists in conceiving of God’s providence in an over-spiritualistic or vitalistic mode, as a sort of deus ex machina, an added non-physical super-natural force within nature. When science cannot find this force, it proceeds to debunk the whole of man’s religious experience. This estrangement leaves both science and religion the poorer for it. But in reality the deus ex machina is not the biblical notion of providence. While not provable objectively and scientifically, at the same time it is not an irrational, quasi magical extra-terrestrial force within nature. It is merely inaccessible to a detached, uninvolved, strictly objective Cartesian mode of apprehending reality. It simply does not rest on the same presuppositions underpinning scientific knowledge. Scientific knowledge is discovered knowledge. The same Greek word for truth (aletheia) means to discover or unveil. On the other hand, the providential drama of history is apprehensible by an historical consciousness which to the Jews meant revealed knowledge. This kind of knowledge is accessible only through a relationship, namely that of the covenant with the living God. A covenant is much like a marriage, and in fact the concept of Christian marriage derives from it as Solomon’s Song of Songs or Paul’s metaphor of the Church as Christ’s bride would suggest). The knowledge that a husband and wife have of each other is inaccessible outside the covenant, the commitment if you will, of the marriage bond. A so called “live-in” with no commitment will yield a different, inferior kind of knowledge, the knowledge which accrues to a corporation’s contract wherein unmet expectations leave the partners free to abrogate the whole contract. A covenant is not concerned with met or unmet expectations. Without entering into a full explanation of the paradox of freedom and providence in Vico’s speculation on history, I simply wish to point out here that providence as basis of historical consciousness cannot be grasped by the limited route of rational science. By its very nature science can deal only with what is apprehended in an objective mode by an observing, uninvolved subject. Chance has to be eliminated as much as possible to allow for the repetition of controlled experimental conditions. But even here there is a caveat. Modern quantum mechanics has strongly suggested to the modern Cartesian mind-set that perhaps the rationalistic object/subject dichotomy may prove a bit too simplistic for the apprehension of reality. That perhaps, contrary to what Einstein presupposed, God does play dice with the universe after all. But by no means this means that science in itself is unreliable; it only means that faith and reason are not mutually exclusive, as Thomas Aquinas has taught us. I suggest that what we should come away with from those brief musings on the biblical notion of providence is that the Jews gave us a preliminary revolutionary way of making sense of reality, a myth if you will, whose logos or meaning is this: Reality is historical and is based on the seeming paradox of God’s and Man’s freedom in a complementary relationship. This relationship is best expressed in the incarnation of God within the Christian faith. It is only with Vico, however, that this Western historical consciousness becomes fully self-conscious and systematic; but that is another story and line of inquiry. In exploring the theme of our Ovi Symposium, I am interested in grounding my proposition within the framework of a worldview I am most familiar with: Islam. The question is: how rigid is this cultural philosophy and how has the spectrum of its conservatism been a cognitive-political-social challenge to the evolution of the Muslim mind of the 21st century? Framed Socratically, I will have no answers to offer but from a phenomenological perspective will hope that we will produce some perspectives closer to our hearts and minds. Complexity Theory will be invoked in the foregoing discussion; one that will look at the intricate and daunting task of conceptualizing the religion itself as both a personal as well as a public discourse of knowledge and power. The ongoing struggle between the idea that Islam is a belief system immutable and one that is open to innovations, between its certitudity and fluidity, its rock –hard foundationalism and water-logic-ness, its Imam Al-Ghazalli-ness and Ibnu’ Al-Arabiness – ideas that are today manifesting in the external and internal conflict itself, continues. I am beginning to believe that the private and personal aspect of belief is more important to be nurtured than to be engaged in the act of making religion public and having an agenda for promoting it, leading to the ugly word called ‘proselytizing’. Religious wars are fought not only out of the need for more land, wealth, and control over human and material resources but also the belief that one’s religion need to be ‘spread’ and an ‘empire of faith’ created. This is the main feature of history of social evolution: conquest in the name of this or that god. How do we bring back the idea that we have probably made a wrong historical turn and that religion need to again be kept private and faith need to be nurtured only on the inside and not to be made public as a process of expanding institutions. In the case of Islam for example, how do we save it from further damage from all these sectoral violent conflicts and keep it private, as in the idea of separation of religion and the state. Saving ‘private’ Islam comes to my mind. Re-imagining Islam comes as a theme of inquiry of this age of “Post-Post humanism” some might call it. Here are my random thoughts. It is about making Islam private again and having the believers think about the most fundamental and foundational inner thought that will guide action: Tawhid or the Quantum Physics idea of Singularity. One of the realities about Islam as it is represented today is that very few understand its meaning in a contemporary social context, let alone be able to apply it to the world that is organic, emotionally unstable, and constantly evolving as patterned by organized chaos and complexity. What is missing in the discourse of contemporary Islam is the idea of the fluidity of One-ness and the bounded-ness of Multiplicity as twin paradoxes of what philosophy in this age of cybernetics, terrorism, and ‘neo-frankensteinism’ means. In other words, what Muslims of today need is not about debate, dialogue, and discourse in ‘what is the correct ideology that constitutes Islam’, but a radical rephrasing of the question itself: what is this notion of peace within the self, as it interacts with the outer boundaries of the self and how must the “self” behave in a world of complexity of beings without losing the fundamental belief in the holistic and philosophic-ness of the self itself. This is the notion of ‘tawhid’ in traditional Islamic discourse Islamic scholars of today need to explore. What Muslims need to develop is a version of reconstructed ‘Tawhidism’; one that is not about the Islamic concept of it, with the cultural baggage of Arabism; rather, it is about the interplay between Singularity and Multiplicity we frame using some version of Complexity Theory. Scholars need to look at the Islamic notion of the ‘knowledge of the One-ness of god’, from the philological and philosophical perspective and see how this idea can move nations, especially as we see the relevance to the Muslims in Malaysia. The world of today continues to evolve in all its complexity. Advanced digital communication technologies, high speed informational flow that instantaneously send images and ideas of change, the process of globalization itself that alter and compress time and space and even decide the course of human and social events - all these continue to fragment the human self. Religion, such as Islam which claims to be adaptable to changing times is also affected by the destruction of the ‘singularity of the selfhood of the Muslim’. New ideas and inventions challenge Islamic orthodoxy and open up new debates that demand new perspectives, or edicts, or “fatwas” to be written to safeguard the ‘fragmentation of Islam’. In short, the Muslim of today lives in a spiritual world of deconstructionism; ideas bombard the self into multiplicity rather than hold it as a ‘Singularity’, as how promoters of Islam orthodoxy would demand. Complex systems require a complex view of looking at phenomena. The idea of complexity brought about by the post-Industrial world and as it impacts the mind, body, and soul of the Muslim individually and collectively as an ‘ummah’ (a millinearistic supra-nation of Oneness before Allah,) has brought fragmentation amongst the believers of this religion. From the historical conflicts of the major schools of thought, to the violent departure of ideological Islam in the Shia-Sunni schism, to the ‘crisis of identity’ plaguing Muslims of today especially post-9/11 - these characterize fragmentation that have led to never-ending violent conflicts in the Islamic world. Muslims are living in a world of Islamic chaos, so to speak. If we take the idea of Chaos Theory as one that tries to explain small changes leading to larger systemic changes over a long period of time (the ‘Butterfly Effect’,) and apply it to the phenomena of Islam’s evolution as an institutionalized religious ideology, we could see that there is the need to look the core issue of the loss of ‘the principle of Singularity’ or ‘One-ness’ or ‘Unity’ brought about by Muhammad. There is a loss of the sense of and the understanding of ‘Tawhid’ or the deep understanding of the knowledge and application of the principles of the one-ness of god or Allah that not only should unify the self but society. Tawhidic knowledge can perhaps de-fragment the self, bring it to holism and create an understanding that man is the vicegerent of Allah on Earth, as how the early teachings of Islam and the ‘early Tawhidists’ at the time of Muhammad would enjoin. Today’s Islam is a manifestation of deep rooted fragmentation and even destruction of the self as can be seen in the conduct of nations calling themselves Islamic. Whether the blame is put on geopolitical, political-economic, or post-industrial complexities of a multipolar world of today, or even the power play amongst empires such as Russia or the United States, the issue in the world of Islam is chaos and the multitudinality of conflicts as opposed to unity and strength of the self and society as taught by Islam. So how does Tawhidism interpret problems and offer solutions to major issues of today? Malaysia is an interesting case study because of its interesting evolution not only as a plural society but also one impacted by contemporary advances in globalised technologies and ideologies. In the Malaysian scenario, a ‘version’ of Islam began being imposed upon the rakyat (people) since the 1980s during a first phase of ‘Islamization’. The reign of Mahathir Mohamad brought mega-changes such as the imposition of Malaysia Incorporated, the Privatization Policy, and The Look East policy. It also brought the push to ‘Islamise society’, through the work of Mahathir’s deputy, Anwar Ibrahim. Educational, cultural, and governmental institutions were made to be more ‘Islamic’, and the nation was hegemonized by this idea of moral and intellectual leadership. As this idea evolved and permeated through the system, this ‘Islamic version of Malaysia’s developmentalist paradigm’ became one that couldn’t be questioned as to its singularity, where any person even hinting of deviating from the official view would face authoritarian consequences through the ‘Sharia police’. There is a transculturalist and revisionist perspective on the Islamic scriptures. Scholars have begun to acknowledge the fact that the Islamic text or the Quran is ‘cultural-bound’ and speaks of the time and place unique to the people of the Middle East. The stories in the Quran are essentially about prophets and messengers of the land of Arabia. There is then the problem of universalizing the experience of reading the text without ‘transferring the culture embedded in the language itself’. This has led to immense disagreement and conflict in how to approach the text of the Muslims without a culture subjecting itself to the process or even the onslaught of Arabization. In addition, centuries old Islam-predated cultural ideas such as animism in parts of South-East Asia included have been planted their roost in the psyche of the peoples, giving the unique identity such as those manifested in the idea of Javanese syncretism. Especially in South-East Asia, Hindu-Buddhist philosophy was already in vogue in the early kingdoms such as those in Srivijaya, Mataram, Singhasari, Majapahit in Java and in the kingdoms in Champa and Siam. Islam came at a later stage through the work of Arab traders and also those deliberately trying to spread this new religion from Arabia. The triumph of Islam is clear today: the Muslim man is becoming the Arabian man. How is this possible in relation to the idea of Islam as a private affair for the soul of the believer? Is a marriage of Liberalism and Islamism possible? We live at a time of ideological, philological, and semantic confusion, I feel, because we have trapped ourselves in words; because we use elusive concepts to define words we employ, to argue, to clarify, to elaborate, to extrapolate, to state our point of view, to deduce, to induce, and to conclude and to lock ourselves in this prison-house of language and we swallow the keys. I am still trying to grasp the meaning of the ongoing, futile debate between, especially the "liberals' and the "Islamists" of Malaysia and to discern not the dichotomies and the seemingly irreconcilable worldviews that see to clash with each other ala' that Samuel Huntington thesis produced some time ago. There is now a "liberal" camp and an "Islamist" camp. We must look into the mind of these campers, some happy and some unhappy, and see what the neural network of complexities look like, what concepts gets link from one another as the sub-concepts of the definitions try to find way to connect to what is meaningful as if they are creepers in my Walden II, some sweet smelling some not. Connections in the brain are made; none of the speakers debating which is better and more moral -- Islam or Liberalism -- while thinking about what is for lunch. We must go into each others' minds and speak of this prison-house of language. We could find a way to resolve contradictions, if we believe that "philosophy can clip the wings of angels' and see, as the poet Rilke once said, how "angels can be terrifying," . As AlRushd, or again, Averroes, in the great Renaissance master-painter Raphael's work, The School of Athens, glanced upwards waiting for Plato and Aristotle to come down the steps of the Academy, hoping that the philosophers par excellence of the Hellenistic period would say "Hi" to him and thank him for doing those Arabic translated work to add to the corpus of the body of knowledge of the ars liberalis, or the arts of the free Man that will eventually become building blocks to the Enlightenment period first, Renaissance next, Age of Discovery and Exploration, Age of Science, to Age of the Application of Scientific Principles, and next Age of Industrialization to Age of Machines, to Age of Thinking Machines to Spiritual Machines to Machines installed in Gardens of Eden, to Age of Neural Networks to Computing to High-Speed Computing, to the Age of post-Humanism-Cyberneticism and Bio-chip Implantation -- this evolutionary period of paradigmatic changes in human consciousness as technology, culture, and human genomics come into play, Al Rushd/Averroes asked: what must people argue if these exist in oppositional nature of ideas as in this raging yet useless debate between "Islam" and "liberalism,"
And thus, Averroes sat on the steps wandering, those great thinkers of the Age of Philosophy, that Axial Age of Spirituality, that Athens of the 5th. century BC, now long gone passed the spot where he sat, like the great beggar Diogenes; Averroes still wonder till late that night. Where did Islam go wrong in thinking that 5000 years of globalization of ideas of Man has ended up in the impossibility of a marriage between the LIBERALS and the RELIGIONISTAS. Shall I unleash more questions on the nature of Man, Matter, God and the Universe and all then, so that not only Descartes can benefit from my musings but the Islamic State of Iraq and Syria will not come into being in the early 21ts. Century? So that the idea of the Mutazillahs will reign supreme over pre-Wahabbi and Salafi notion of what must a human being be, and how must society look like, and what will be the nature of the State as it tries to define itself in the framework of the this idea of the Ummah? And Averroes could not sleep that night. Under the stars, under the clear blue sky painted by the Italian master Raphael, he wondered: have we, from the fall of the Empire of Uthmaniyah right up till the 21st. century taken the wrong semiotic turn? I invite you to participate in this dialogue with this question as a recap: How must Islam be re-imagined, in an age of increasing certitude and global dominance of Islamism? I grew up as a Christian with Jewish roots. My father converted to Christianity when I was about 8 years old, but his family remained Jewish, and since we were still family, we celebrated Jewish holidays and events with them. In both religions God plays an active role in human history. One of the most celebrated examples in Judaism in that of the Passover, where God brought the Jews out from Egypt with a mighty hand and an outstretched arm. In Christianity, Jesus, God made man, who has come and dwelt among us, is the transcendent God brought into immanent humanity. It is as such Jesus can speak to us directly, since we know that he was tempted just as we were (the epitome of being human), yet without sin (Heb.4:15). And so two immanent faiths were passed on to me. Providence, as has been mentioned so clearly in the story of Joseph and his brothers, was the march of mankind forward, and we were a part of that line. It was exciting to think that we were marching forward toward a glorious future where God was king and we were working towards His glory. I remember asking how this was to happen, and there were two parts to the answer. One, was the concept of predestination. It was said that predestination was a legal framework that needed to exist in order for God to be His all-powerful, good self. It was explained to me that it was like an insurance policy. It’s nothing that you feel, but that doesn’t make it less real. Which led to the logical question: If predestination and God’s providence is true, aren’t we then solely automatons? And the second part of the answer was that we did have free choice, the ability to make real choices in our lives, with real consequences (and real fault for our mistakes!). However, how it actually works was explained as being above our comprehension, with the classic citation of “For my thoughts are not your thoughts, neither are your ways my ways, saith the Lord. For as the heavens are higher than the earth, so are my ways higher than your ways, and my thoughts than your thoughts.” Isaiah 55:8-9. And thus we were not to try to comprehend it further. And so accepting both parts of the answer, I went forward with my life. Life with this mystery was a challenge and I would regularly vacillate between the comfort in predestination and the discomforting challenge of finding God’s plan for my life. I always thought about my choices, trying to do the best I could, but not worrying too much, because it would all work out well in the end anyway! “All things work together to good, to those who love God, to those who are the called, according to his purpose.” (Rom. 8:28). On the one hand, this was comforting. However, it was regularly preached that we needed to find and do God’s will in our lives, which would likely be something we didn’t want to do (i.e. the story of Jonah). As a result, in just about everything I did (especially as I tried to figure out what I should do with my life! ), I always second guessed myself. Through different scholastic paths and three schools, then through different professional paths (including technical writing, the food business and theatre) there was always the thought that maybe what I was doing wasn’t really God’s will. A word of explanation may be in order. Part of the thinking taught to me was that if you do God’s will, you will be happiest and give God the most glory in that way. I had been taught that the chief end of man was to glorify God and enjoy Him forever. How would I do that? By developing my talents and using them to glorify God (c.f. The Parable of the Talents). This was the path to take if there wasn’t any other clear will of God in my life. This would naturally look different for each person, but the goal of glorifying God as being the best for me and making me happiest was one of the cornerstones I regularly returned to. But when my life took a sudden turn and I got married, then moved to Venezuela, (That’s how God works! Isn’t it glorious!) that seemed to put a monkey wrench in “God’s will” and doubt came to visit once again. My business idea (which had been conceived developing my talents) failed and I found myself teaching English. I found I liked it! (That’s how God works! Isn’t it glorious!) And so I threw myself into my teaching and developed my career in that. (Now this was God’s plan!) I was happy with my career, my family and my life. The justifications provided by the faith were sufficient through a whole host of decisions, with predestination and things working out for good being the mainstay through it all. I would go back and forth regularly, fretting over small decisions and big ones, but always returning to the faith that it will work out good in the end. And as a result, I gave less thought to planning things out for my life and worried more about living it and being faithful in all I did. And this worked until my marriage fell apart. The difficulty was: according to the faith I had been taught, my marriage should not have fallen apart. But it did. So the question arises, how is this predestined and working together for good? The prior answer of “Don’t question too much.” is not enough anymore. Is God still immanent? Is Providence still at work? Does man still have free choice? Largely, I think the answer to all these questions is “Yes”, but there is more to it than just the broad picture. We still have to live our daily lives, and we need to examine the consequences of these answers. What does that look like when you examine it carefully? That’s the current question.